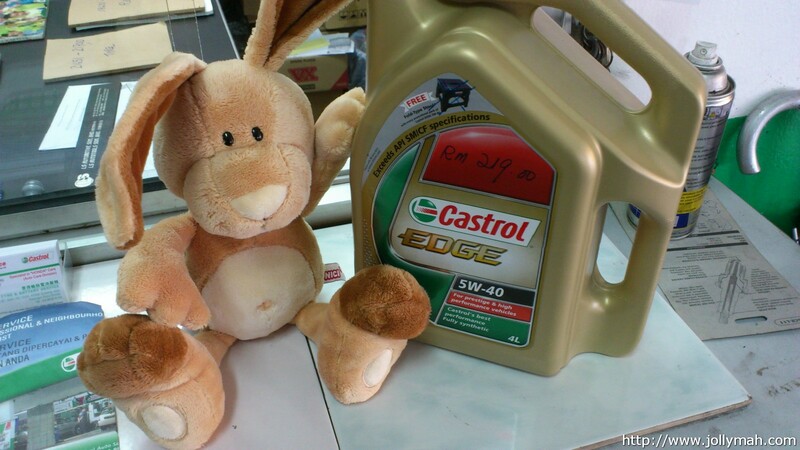 Ralf the rabbit get a free Castrol Edge engine lubricant change at one of the Castrol authorize service center located at Subang Jaya. 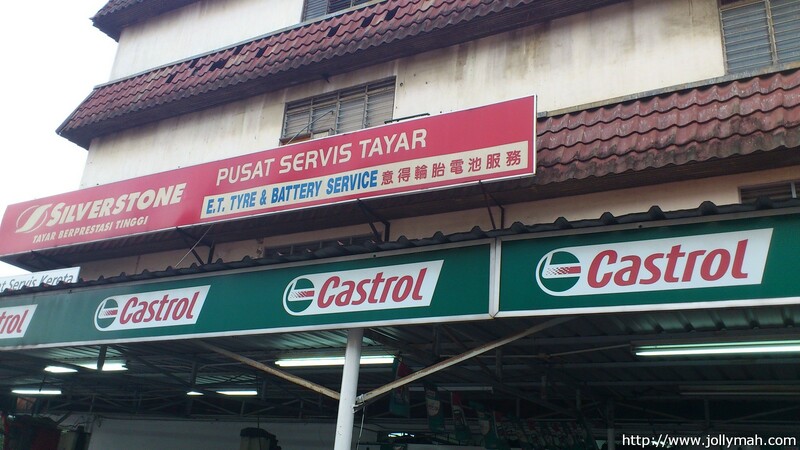 It took about an hour to have your car engine lubricant and oil filter changed. 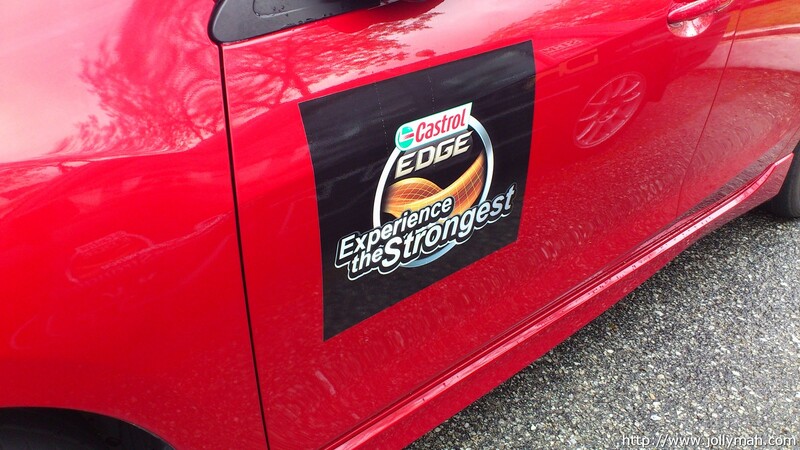 For the end of that day, I am ready to join the Castrol Edge Performance Drive on 12 November 2011. 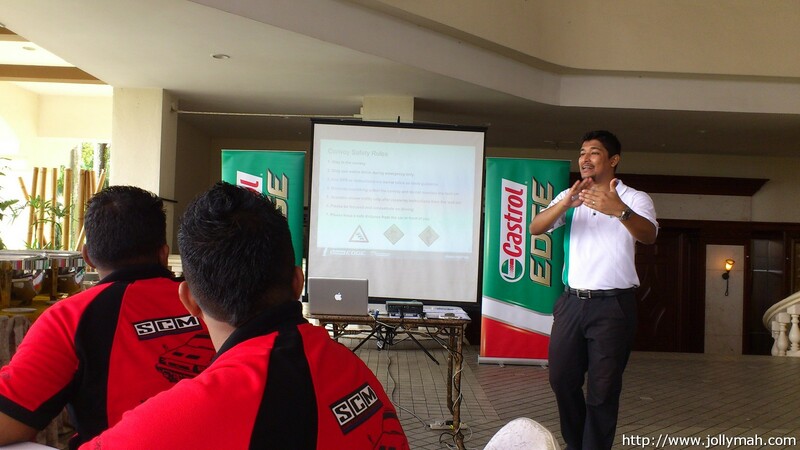 What we have in above is the dB graph, for the Mazda 3 2.0 with Castrol Edge 5w-40 Titanium lubricant. 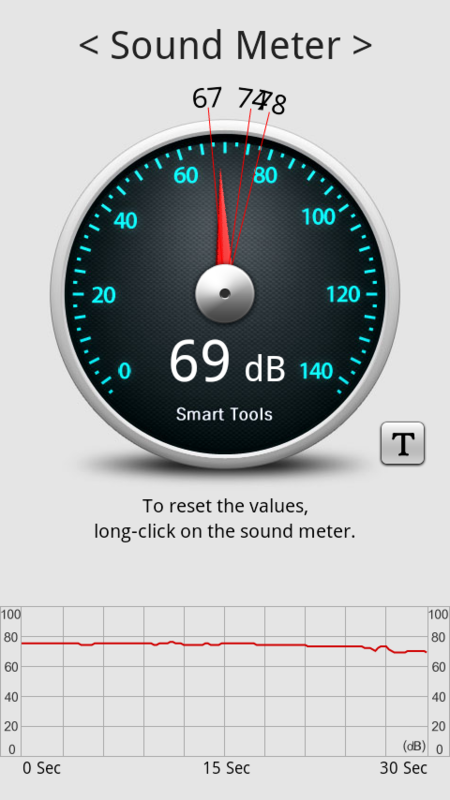 You will get 48dB when we sit inside the car without starting your engine. 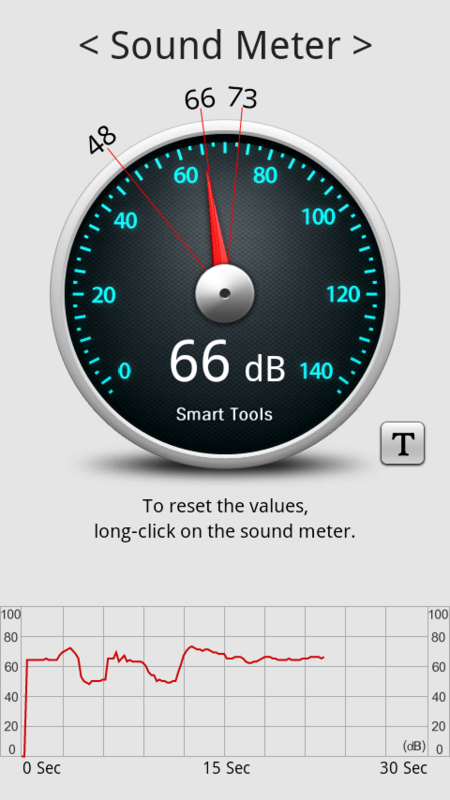 You will get 66dB after starting your car engine and in idle mode. And when you start driving you will get 73 dB on the road. 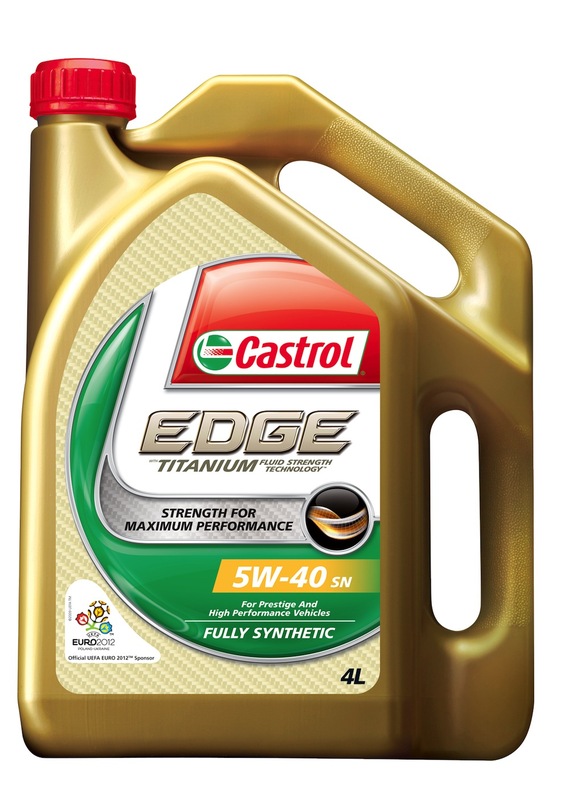 For what I can feel instantly for the different between Castrol Edge Titanium engine oil compare with other engine oil are firstly the engine much quite than before in idle mode, secondly I can feel the engine pumping smoother, and lastly I can feel higher torque from the engine (Zoom-Zoom). 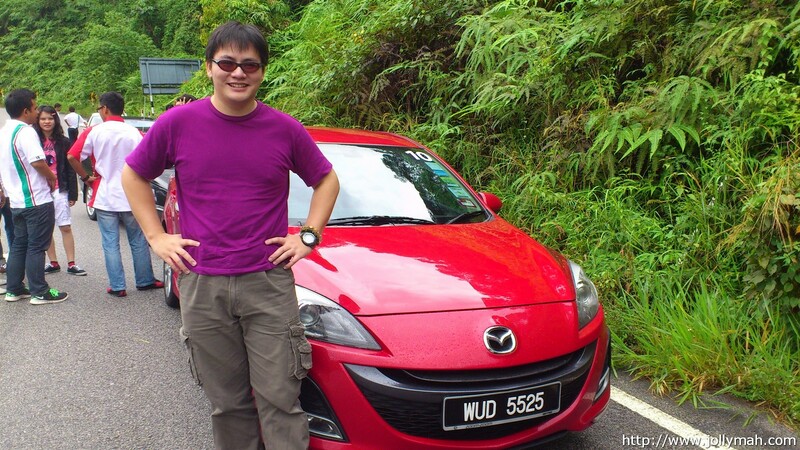 I am showing another dB Graph result from I driving back to from KL back to Kelantan. I am using the North South Highway towards Ipoh, then drive toward Cameron direction. Normal on road driving is between 66dB and 70dB, if we start climbing mountain road it mostly will be above 70dB and below 78dB. For the two graphs above I am very happy with the performance and quietness of the engine that used Castrol EDGE 5w-40 Titanium. On 12 November 2011 morning, Mr Harvinder gave a short briefing about Performance Drive event and convoy safety. First thing I learn from this event is, they are well organized and on-time. They also make sure the safety of participants well taking care off. Nissan Teana v6 2.5 spec will be our lead car :). 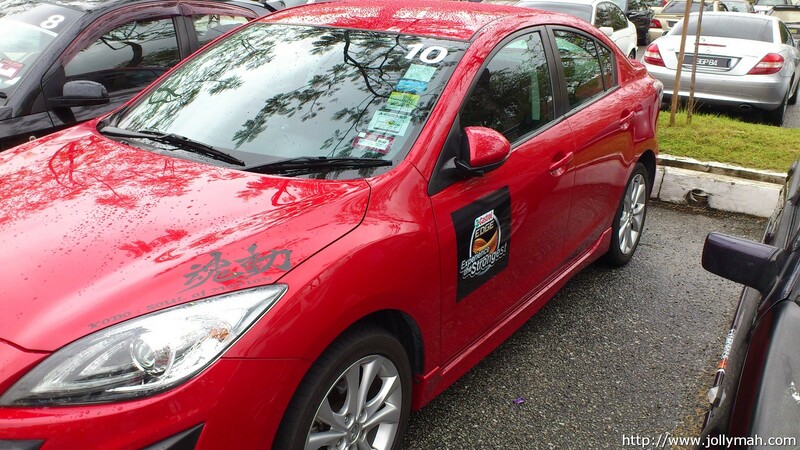 There will be total 10 cars joining this Performance Drive, they include 1 Mitsubishi Lancer, 3 Nissan Cars (1 Sentra, 1 Altima and 1 v6 Cefiro), 2 Proton Saga, 2 Proton Savvy, 1 Toyota Alphard (don’t ask me why, I also no idea) and lastly Mazda 3 :). Another few things I learn from this Convoy. 3. Walkie-talkie – for the ease of the communication. 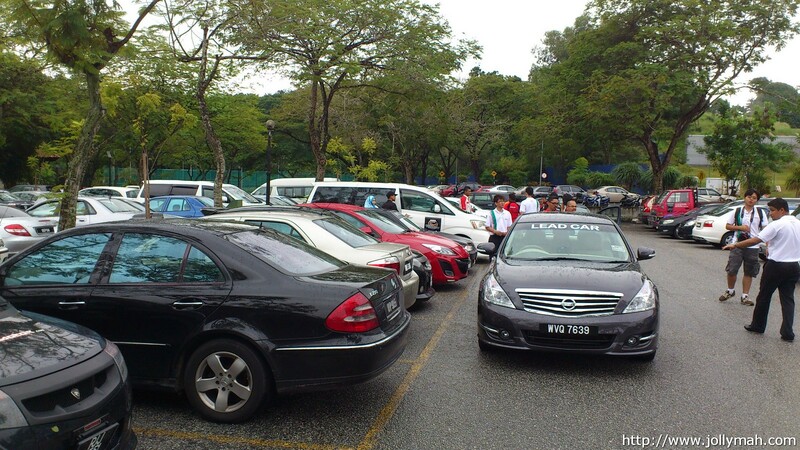 We start our convoy on time depart from Shah Alam Sultan Adbul Aziz Shah Golf Club toward Bangi -> Hulu Langat -> Ampang -> Shah Alam Melawati Stadium. 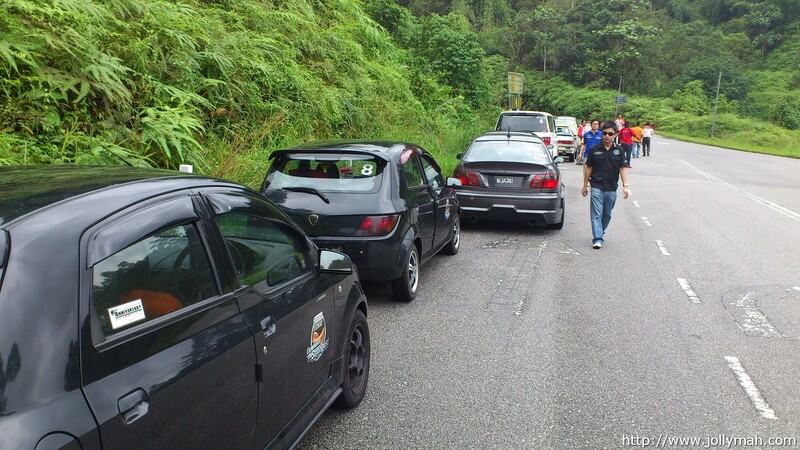 That day is rainy day, we encountered 2 Proton Saga slightly skidded when come to down hill. Luckily no one is injured thanks to the professional driver :). 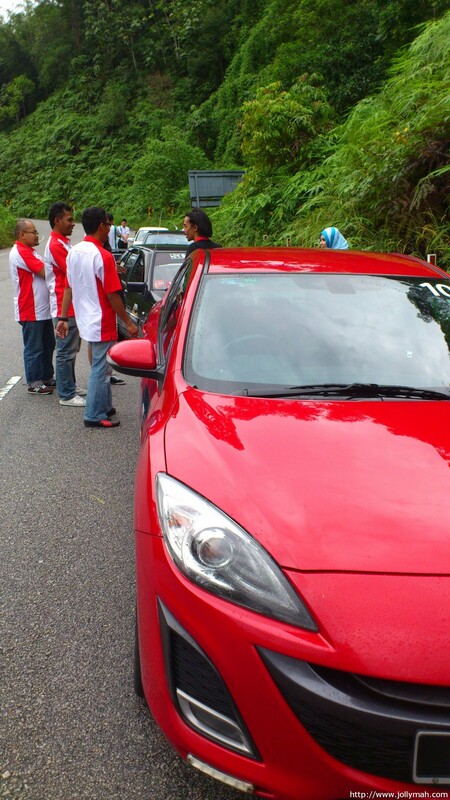 We taking a short break at Hulu Langat and enjoy the fresh air and scenery. 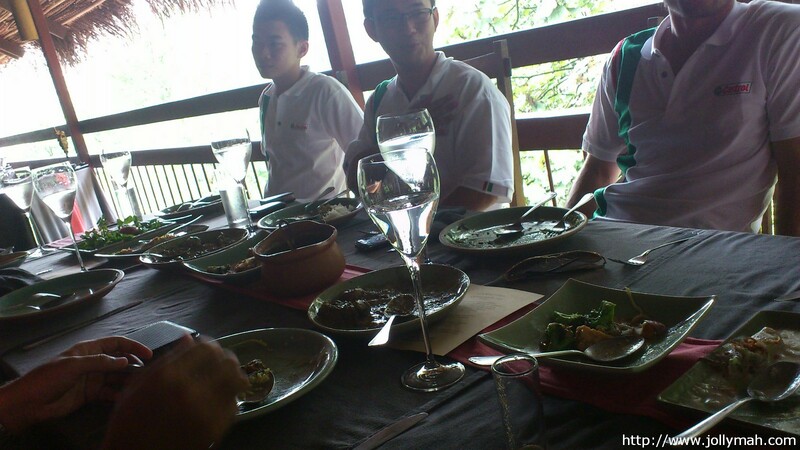 After Hulu Langat we heading toward Ampang to have our lunch at Tamarind Springs Restaurant. After the satisfying lunch, we heading back to Shah Alam Melawati Stadium for the closing of this Performance Drive event. Base on my personal experiences and experiments, I like to share few useful tips for you all. 1. Please do rev your engine after the engine oil change, or go for a mountain ride. You need your new engine oil start flowing around you engine piston, and so your engine piston will adapt the new engine oil instead of old engine oil. 2. Please do not put any extra addictive pill or liquid into the gasoline. It might generate extra carbon in the engine oil causing you need to change your engine oil frequently or earlier. 3. To ensure your engine performance in good condition, the best you change your car engine oil for every 5,000-6,000km instead of 10,000km once. The longer you wait, the more carbon residue will be in your engine. Every time when you put in new engine oil you actually mixing the some left over engine oil with carbon residue together with new engine oil. So imagine this would you like to have a high concentrated carbon residue oil engine oil mix with your new engine oil and after mixing turn out to be so call not so cleaned engine oil? 4. Please check and make sure you are purchasing Genuine Parts (Oil Filter) and Genuine Engine Oil from authorize workshops. Very nice write-up. I’ll be putting Castrol Edge w/Titanium 5w30 in my 2010 Nissan Murano (3.5L V6) in a few weeks for my second oil change. If I ever visit Malaysia I’m heading to Ampang and Tamarind Springs. 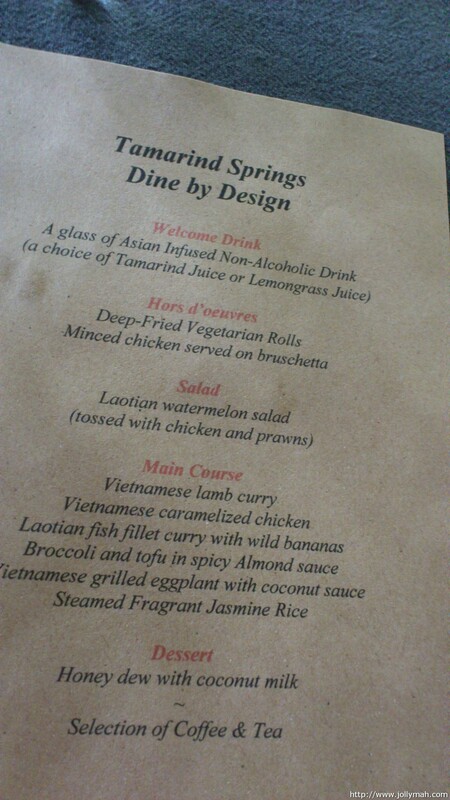 That menu looks delicious. Very nice – really interesting reading. Thanks for this. in your turn; it was a sister to me, what did you think of Assassin’s Apprentice? enjoy via internet. It seems to be the way to go because one of the most popular games of all time for free. spot, you have to build some quality backlinks , it will help you to get more visitors. Nice write up, was reading about this on google page so I’ve actually come over here, have you experimented on mixing Castrol EDGE and Castrol EDGE TITANIUM by mistake before ???? Should I be worried?